CAULFIELD Cup day marks 12 months since Cory Parish's life changed. This time last year the Kiwi jockey saluted aboard $41 shot Boom Time to claim Group 1 glory - and a house deposit. 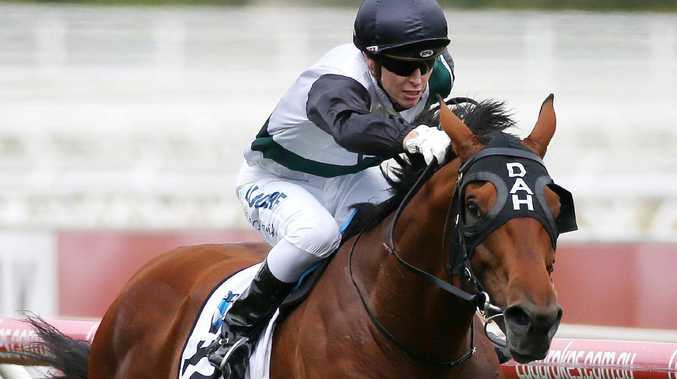 The 29-year-old is working harder than ever as he attempts to take on the spring's biggest races with an extra asset under his belt - experience, having also ridden Boom Time in the Melbourne Cup a few weeks later. A year on, Parish knows nothing is guaranteed. But he hopes his light frame will stand him in good stead during the next month. "Obviously, this time last year I wasn't thinking I'd be in any of these big races," he said. "I've done them now - they were amazing. I'm really just going in the same - trying to get the rides in these big races. "There's only a limited amount of horses and so many good jockeys out there, so it just comes down to that I can ride light. Hopefully one of them carries me through." That glory at The Heath 359 days ago was a bucket-list ­moment for Parish. "If I don't get the opportunity (again), I have ticked it off the list and it was something that I never expected to do," Parish said. "That's all you can go in with - just be happy that you've managed to do it once. That's the bottom line." Parish admitted that his light weight "ballooned" a bit during winter, with his penchant for pizza and soft drink getting the better of him before he knuckled down to lose it all in recent weeks. 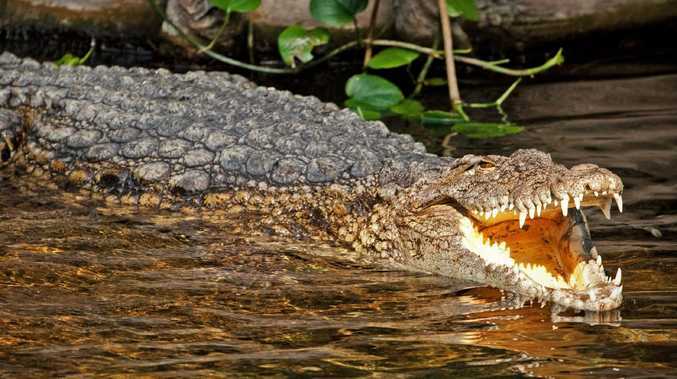 Now "about 52kg", and with the ability to get even lighter, his routine to beat the scales is near-perfected - albeit after a few health scares. "I was a very good winter grazer while the winter was on," Parish said, laughing. 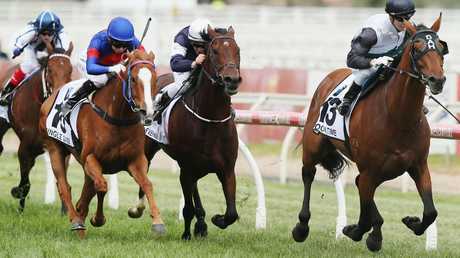 "I got down to the 50kg quite comfortably - had a ­little bit of a hiccup and got ­kidney stones a week out (from a race). "I've worked out that it's every time I change my diet, because it happened last year, too, so I've just got to do it longer and slower." It's led to starting the process earlier and carrying it through for longer, which Parish said left him much stronger when riding light. "That's why my weight hasn't ballooned back up after that," he said. "I've been eating a little bit of rubbish of late, and I'm still sitting around the 52.5. "I don't really want to test it, but I'd say I could probably do a 48 if I had to, now that I'm sitting at that nice level. "That's bottom line, to try and get those opportunities. That works in my favour, and it wipes quite a number of jockeys out in respect of getting down to those light weights." Once Parish could only have dreamed of those opportunities. He all but gave up on riding, moved his young family back in with his parents, and was laying foundations with his dad in the depths of a New ­Zealand winter. Now he realises it was just the spark he'd needed. "My dad does foundations, so I was getting a little bit sick of riding," he said. "Nothing was working my way, and I ended up working for my dad for a little while. It wasn't very fun. I won't lie. It was in winter, I didn't enjoy it, and it felt like it took forever. "But it probably was the best thing I ever did, because it made me realise what the racing has done for me, and it probably gave me that boost. "That's what sent me over here, and then I probably work even harder now than when I was an apprentice. So that's probably been a good thing. "If I hadn't been at such a low, it boosted me and made me work hard." Victory in last year's $6.2 million Caulfield Cup meant boom time not only for trainers David and Ben Hayes and Tom Dabernig, but the Parish family. 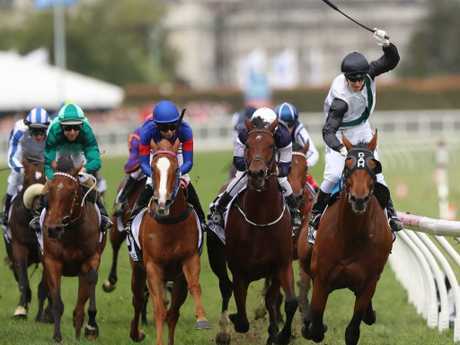 He is confident that the house the Caulfield Cup will build will soon be on the ­horizon. 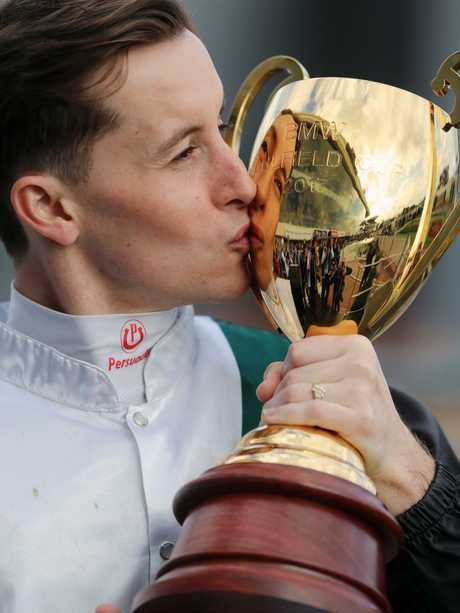 "It was always a dream when I was an apprentice to ride in a Melbourne Cup," Parish said. "And I managed to do that on Boom Time. "If I retired ­tomorrow, it wouldn't be with any regret of what I've accomplished."